The Moto Z2 Play is a solid phone that was released earlier this year by Motorola (Lenovo). The phone was originally exclusive to Verizon in the US. Motorola has since then released SIM-unlocked variants of the device available for purchase across the globe. In case you’ve gotten yourself the phone and would like to tinker with custom ROMs and mods, you would first need to flash a custom recovery like TWRP (TeamWin Recovery Project). However, before you can do any low-level modifications to your device, you would need to have the device’s bootloader unlocked. Unfortunately, manufacturers ship their phones with the bootloader locked by default, and in most cases, trying to unlock the bootloader will void your device’s warranty. Unlocking your bootloader opens a world of possibilities. It gives you total control of the phone’s hardware and grants you root access. This notwithstanding, doing so compromises your phone’s security and makes your device especially liable to unforeseen threats. It is, therefore, generally a good idea to leave your phone as it is, especially if you are not too sure of what you are doing. Another thing, the Moto Z2 Play ships with near-stock Android 7 Nougat with minimal bloatware. This is compelling reason to leave the phone as it is. 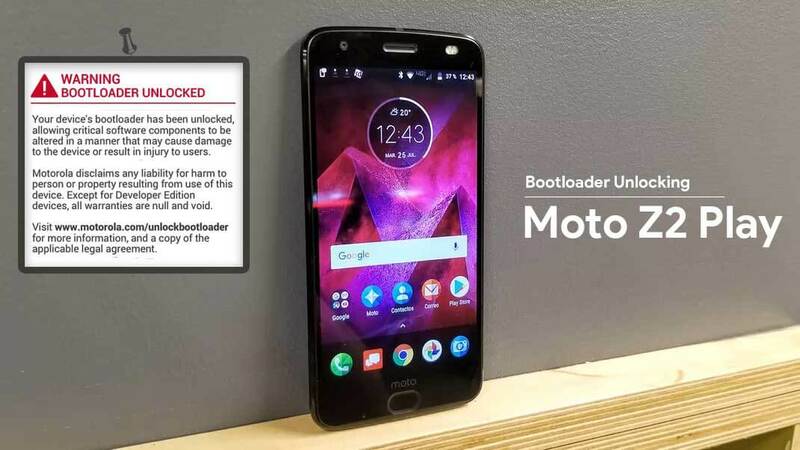 However, if you are experienced or willing enough to get your hands dirty, this guide will show you how to unlock the bootloader on Moto Z2 Play. Before we proceed, I have to let you know that this procedure may not work if your device is Verizon-locked (VZW). In other words, DO NOT attempt to unlock if the device’s contract period has not expired. A pre-unlocked Moto Z2 Play is now also available for purchase online. Caution: Tampering with your device can harm it. We will NOT be held liable for bricking your device. Now that that is out of the way, let’s get right to it. Charger your device’s battery upto 60% to avoid any shutdowns during the process. Backup all your data, contacts, apps and important files as unlocking the bootloader erases everything in your Internal storage. Please use original USB cable while performing the unlocking procedure as using a duplicate/cheap cable could result in disconnection during the unlocking process. If the process if interrrupted, there are chances of permanently bricking your Moto Z2 Play. Step 1. 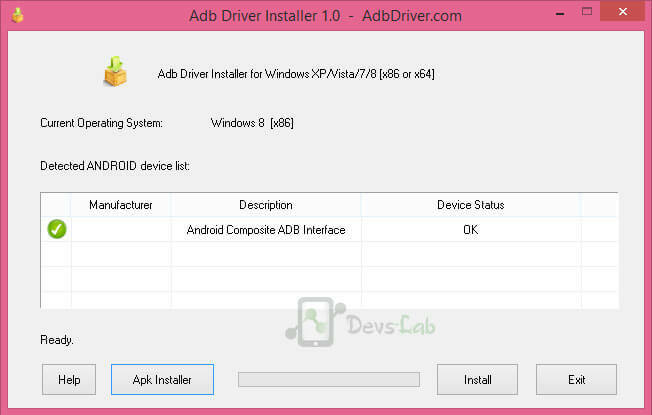 First, make sure you have ADB drivers installed on your computer. Step 2. Install the Motorola Device Manager and Minimal ADB & Fastboot. Step 3. Connect your Moto Z2 Play to your computer. Step 4. Enable Developer Options on the phone by going to Settings>>About phone and clicking on Build number 7 times (until Developer options will be enabled.) Go to Settings>>Developer options and allow USB Debugging and OEM Unlocking by toggling the respective buttons on. Step 5. Power off your device and reboot into bootloader mode by pressing and holding Volume Down and Power button simultaneously. Step 6. Open the folder in which you installed the Minimal ADB and Fastboot on your computer. In this folder press Shift + Right click and select Open command window here. Step 7. Type “fastboot devices” in the command window to ensure that your device is connected. Step 8. 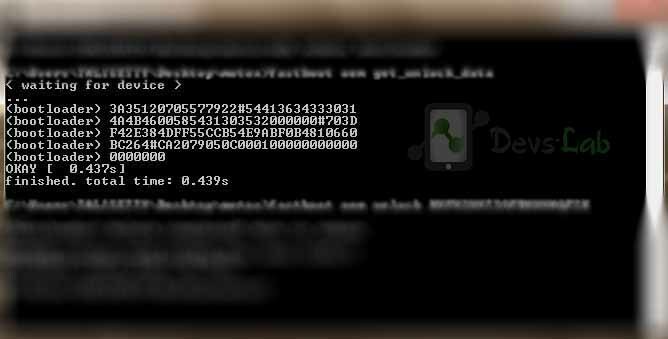 Enter “fastboot oem get_unlock_data” to get unlock code. Step 10. Visit Motorola’s site and sign in to your Motorola account. Create a new account if you do not already have one. Step 11. Paste the string into the specific field on Motorola site and click on “Can my device be unlocked”. Step 12. If your device can be unlocked, “Request unlock key” will appear. Click on this. 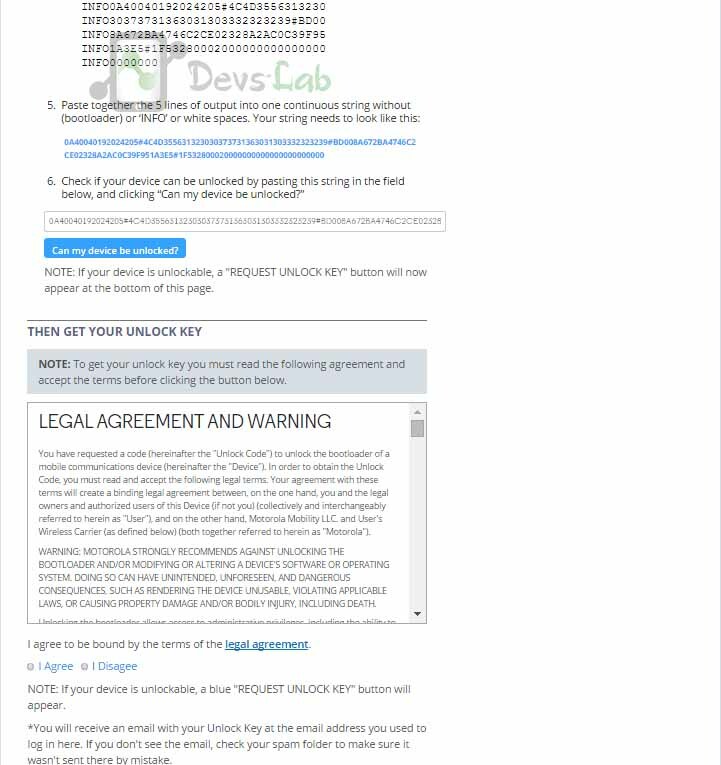 An unlock key will be sent to your email account. Step 13. Check your mail and copy the unlock key. Step 14. Go back into the command window and enter “fastboot oem unlock unlock–key“. Replace “unlock-key” with the unlock key Motorola sent you. Wait for the bootloader to be unlocked. Once your bootloader is unlocked, the phone will reboot. You can then proceed to flash a custom recovery of your choice. Enjoy tweaking your phone.